Transports with a truck mounted forklift is one of Reining’s specialisms. We have a fleet of road trains equipped with a truck-mounted forklift. This means that our driver can always load and unload quickly and does not have to depend on local facilities. 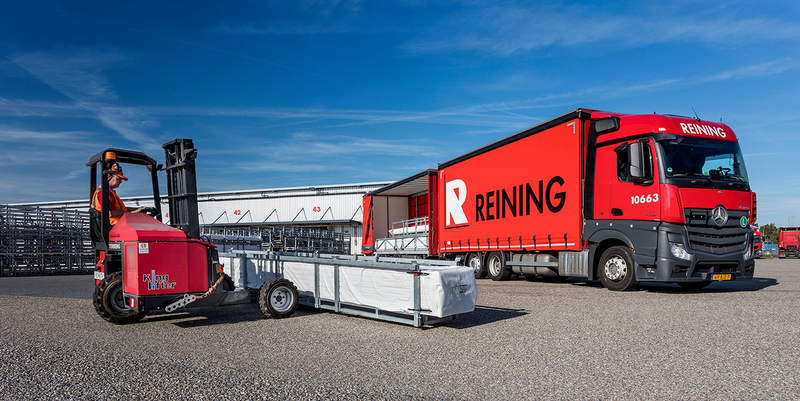 Our road trains equipped with a forklift are therefore ideal for construction sites, distribution of gardening equipment, trade fairs and events. The road trains are equipped with curtains and have a capacity of 120 m3, so we are able to load a high volume. 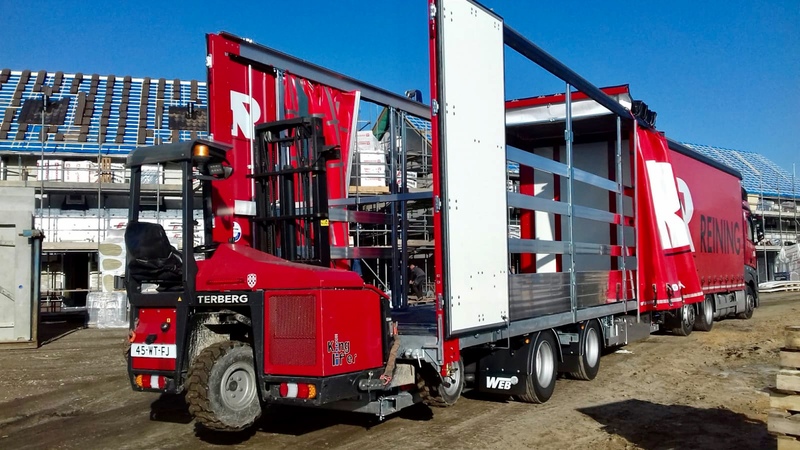 The vehicles are equipped with a hydraulic lifting roof, which allows the insertion height to be increased during loading and unloading. This means that not only can the entire internal height of 3 meters be fully utilized, but it can also be loaded and unloaded quickly and without damage. 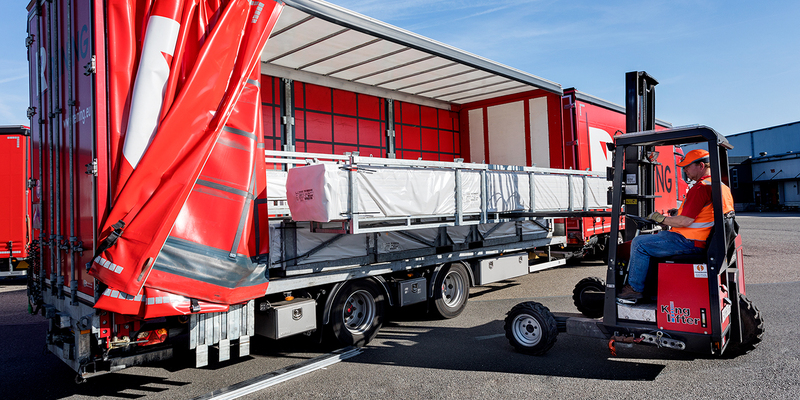 The road trains meet the highest safety standards for securing cargo (TüV XL), so that your cargo is well protected.